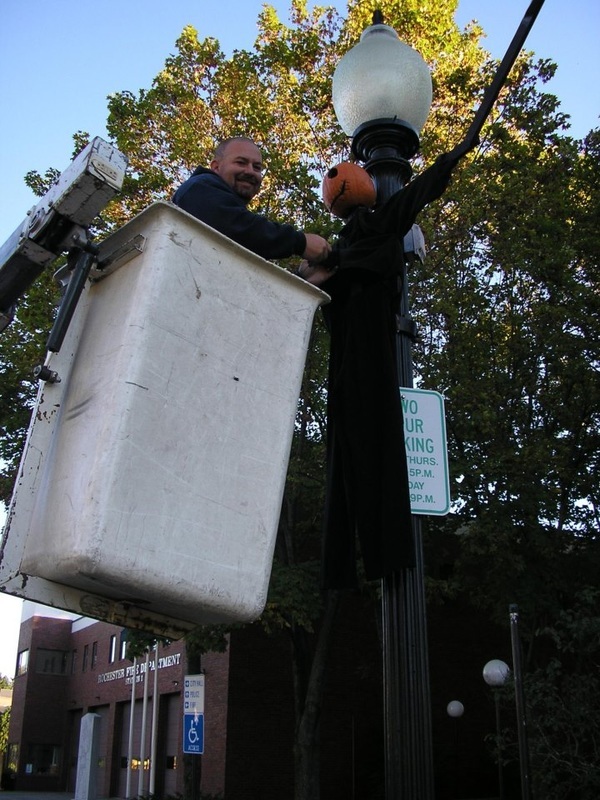 Every Fall Main Street partners with the City to put up scarecrows on the light-posts through downtown. Every year we take the scarecrows out of storage (thank you Studly's) and have to make sure they are all in good shape. This includes changing cloths, fixing broken parts, etc. If you or your organization is interested in Sponsoring the 2016 scarecrows ($500) click the donation button below.